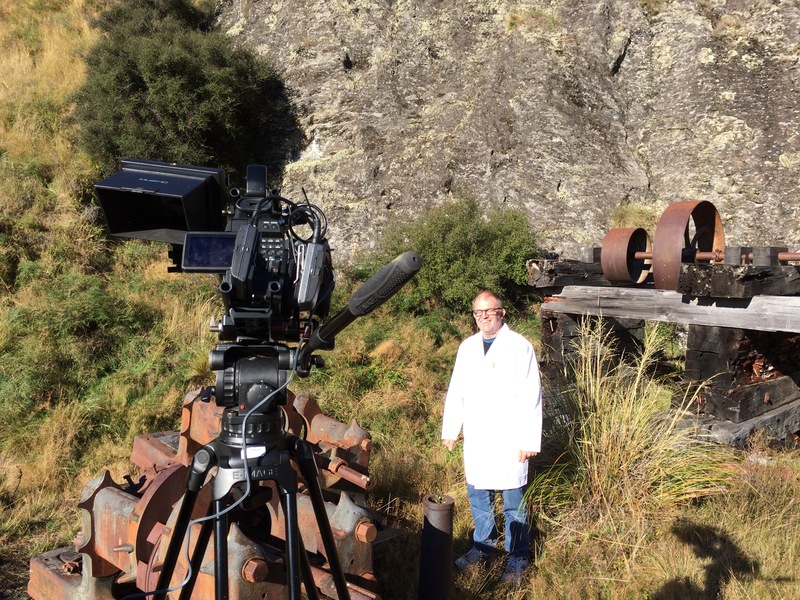 Day 1 of filming saw Steve, David and Matt back in Bullendale, site of the Southern Hemisphere’s first hydro station. 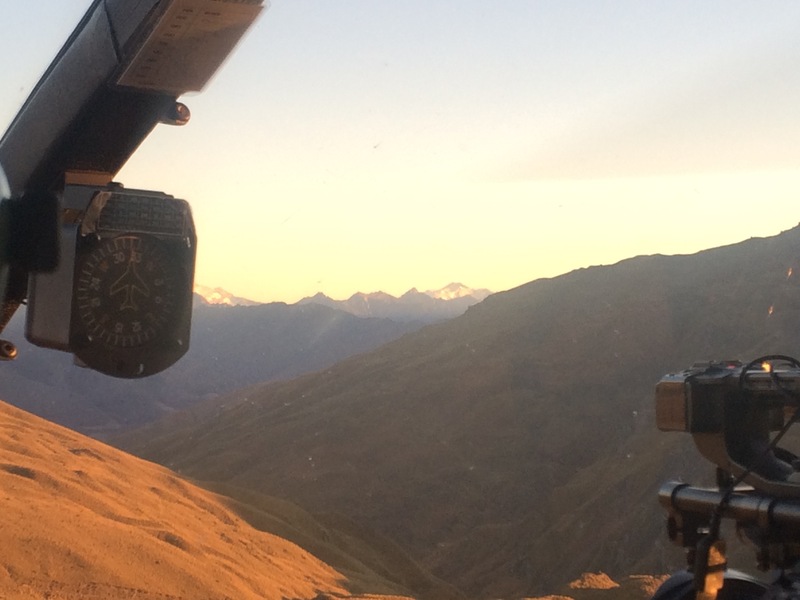 Stunning flying conditions, and our trusty chopper pilot, Paul Mitchell from HeliTours gave us an amazing ride in (including perching the chopper on the peak of a mountain so we could see the sun rise). 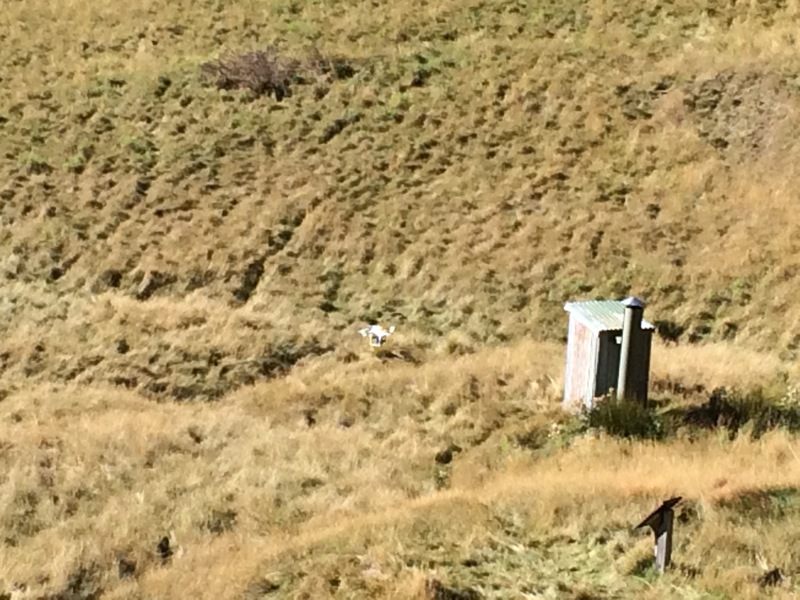 Seriously, if you are in Queenstown and want the ride of your life, call Paul. 1 degree C on landing at the ruins of the generator. Cold. 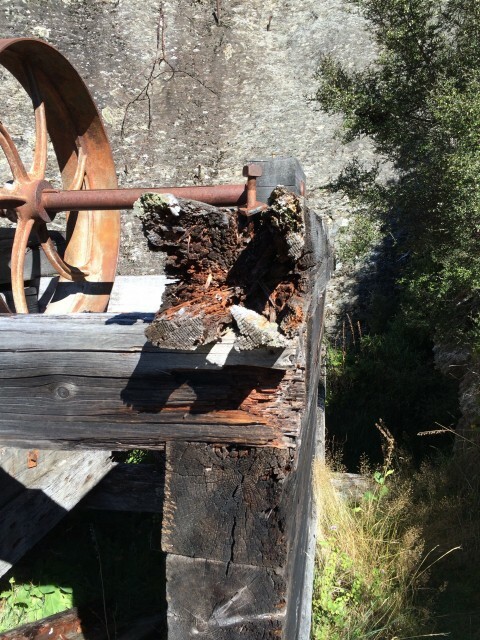 We were a bit concerned at the level of deterioration that seems to have occurred since we were last here 2 years ago. The Wakatipu Heritage Trust has a restoration project in the wings; it really needs to get moving. David did his first clip as a mad professor or the Swedish Chef from the muppets, explaining what an “arc dynamo” is. We found our way back to what’s left of the Victoria Special Motor. David’s now pretty convinced this was the largest motor in the world at the time. We’re also convinced it’s the largest motor in the world with a tree growing through it. 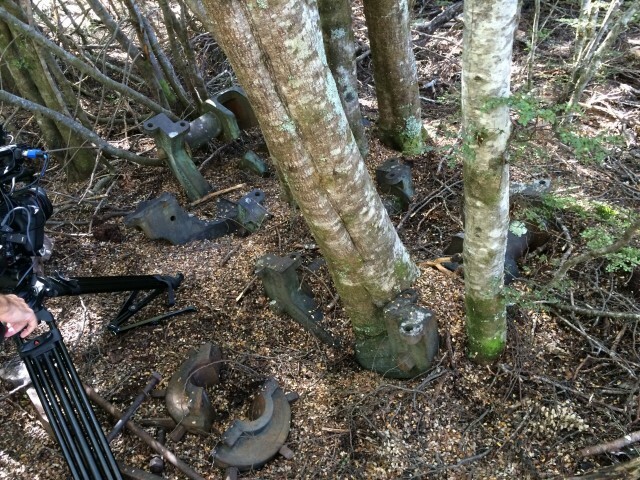 May or may not have got completely lost hauling camera and associated gear downhill through a forest to find the site of the stamping battery (it seemed so easy last time….). It was great to see Matt’s reaction, being in there for the first time. Reinforced how astounding the effort was to build a town – let along the world’s first electric powered stamping battery, complete with hydro power station and transmission line – in such a remote location in 1886. This was determination on steroids. Also a good reminder of how transformational electricity was – when you see how low the flows were in the creek next to the stamping battery, but how close they were to the motherlode, you can understand where the sheer drive to find an alternative source of power was. It’s hard to imagine what it must have been like to contemplate spending the equivalent of $1m on a piece of kit which turned energy 3km away into a reliable way to crush quartz to get at the gold….but had not been seen before in NZ. These guys were completely nuts. But also it, again, reinforced the significance of this site to where we are as a country today with 80% renewables. Two gentlemen involved in this project (Walter Prince and Robert Fletcher) went on to make sure that NZ stayed at the forefront of electricity adoption (Prince at Reefton, tomorrow) and hydro development (Fletcher at Okere Falls – next week). 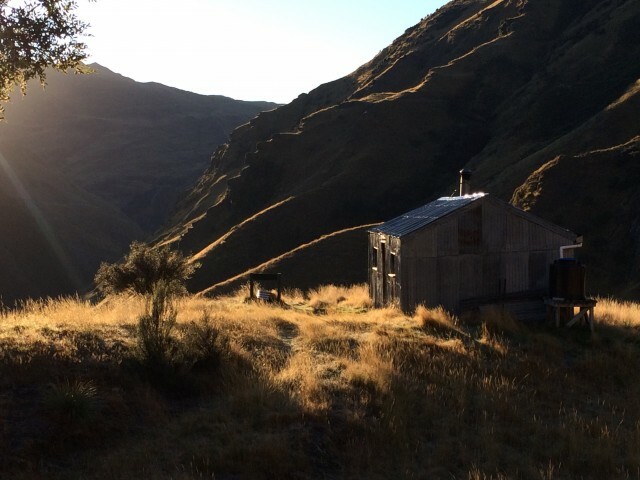 You can trace the heritage of 55% hydro right back to this spectacular, but inhospitable, location in the middle of Central Otago. Oh, and if any of your station superintendents have a view from their office like this, let me know….